With the rack in the middle position, preheat the oven to 325°F (170°C). Line the bottom of an 8-inch (20 cm) square baking pan with parchment paper, letting the paper hang over two sides. Butter the two other sides. In another bowl, beat the eggs, hazelnut spread, brown sugar and vanilla extract with an electric mixer until smooth, about 2 minutes. With the mixer on low speed, add the flour mixture alternately with the melted butter. Spread the batter into the prepared pan. Bake for 35 to 40 minutes or until a toothpick inserted into the centre comes out with a few lumps and not completely clean. Let cool in the pan for about 2 hours. Unmould and cut into squares. does it rise up or could i double the recipe and put it in a pan? Delicious. Addicting. My favorite brownie recipe ever. I'm not even a big Nutella fan, but these brownies are too freaking good. I have made these several times and it is always a hit woth friends. The last few times I have added melted dark and white chocolate as an icing on top, adds to an already delicious brownie. Wonderful recipe. I hope to use it for my daughter's wedding. The bonus is the inclusion of the metric measurements for the ingredients. The cup method of measuring ingredients has yet to reach the 'other side' of the Atlantic. Thank you. 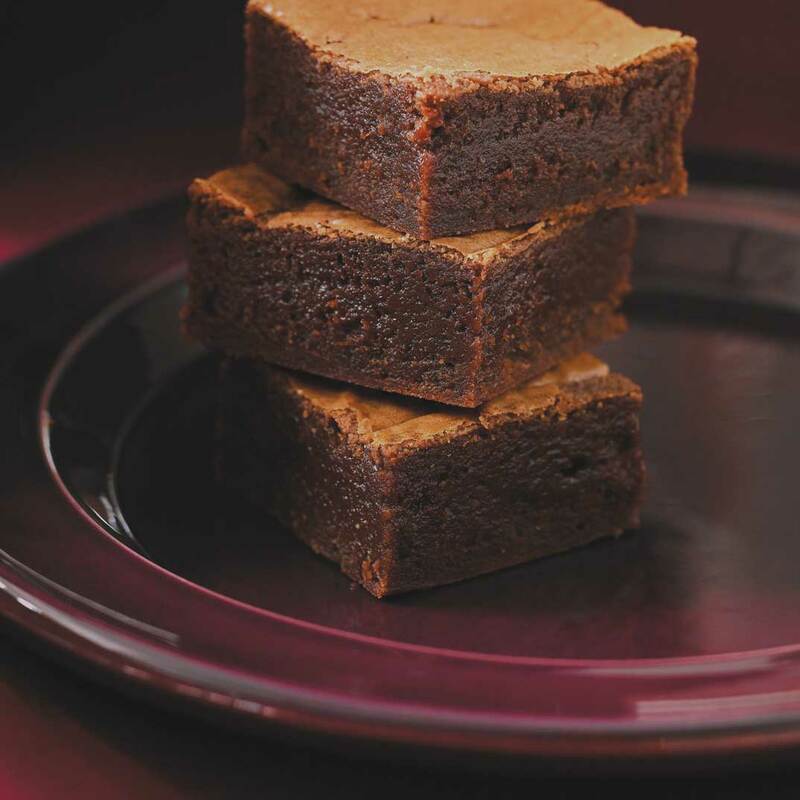 I made a gluten-free version of these decadent brownies. Since there's is only 1/2 cup flour it is easily replaced with any all purpose gluten-free flour. If your blend does not contain xanthan gum, ad 1/8 teaspoon. Also let the mixture sit in the pan for about 15 min. before putting it in the oven, this will let the flour absorb the liquid and result in a less crumbly brownie. (crumbling/falling apart baked goods is a common problem with the absence of gluten). 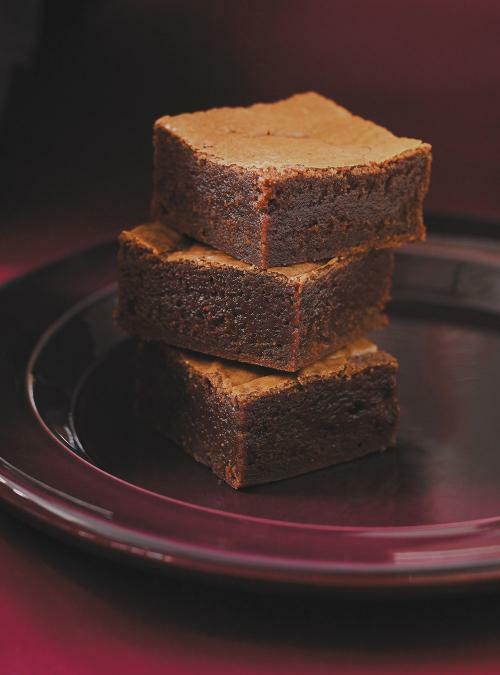 This is now my family's favorite brownie recipe and it is really easy to make. The best! I added toasted pecans to the batter prior to baking. Wow.....so, so yummy! This is a keeper for sure. 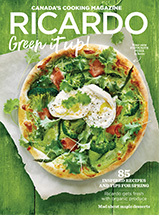 Thanks Ricardo for this delicious recipe and so easy to make. The only thing I did différent was add 1/2 teaspoon of baking powder. You must try this fabulous recipe, you will be in heaven! We're glad you enjoyed the recipe. Thanks for the feedback! Why did I wait so long to make this recipe? Absolutely delicious. I'm not sure if I did something wrong, but I didn't feel there was a strong Nutella flavour. It just tasted like a chocolate brownie. A good one mind you, but I feel there was something lost somewhere. very easy and a great taste. So quick to make & so, so, so, good!